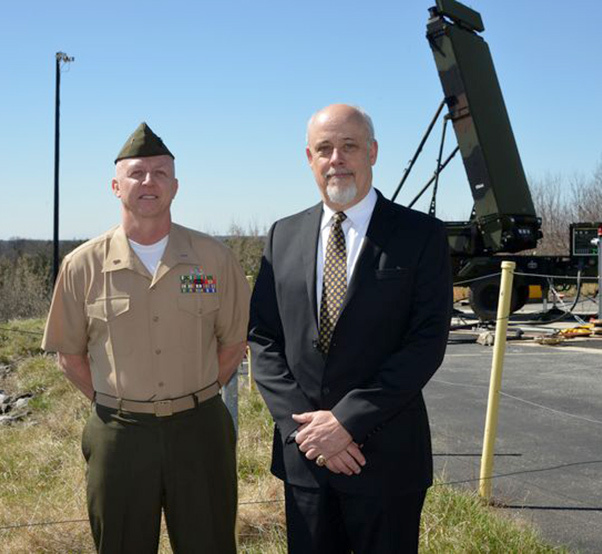 Members of the G/ATOR program team – both from the U.S. Marine Corps and Northrop Grumman – along with other distinguished guests, attended a ceremony commemorating the first G/ATOR production system delivery on March 29 in Baltimore. Pictured here with one of the G/ATOR systems are Chief Warrant Officer 5 William Kelly (left), G/ATOR project officer from the U.S. Marine Corps, and Mark Smith, a director of business development for Northrop Grumman. 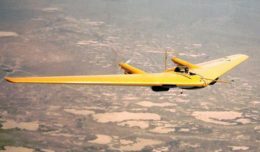 Northrop Grumman delivered the first low rate initial production AN/TPS-80 Ground/Air Task-Oriented Radar system to the U.S. Marine Corps. G/ATOR successfully completed the system acceptance test procedure – the last of the required milestones in the production test phase – ahead of schedule, enabling the company to deliver the system to the Marines to support their fielding schedule. The initial LRIP contract was awarded in October 2014. Five additional systems will be delivered under this award. G/ATOR replaces five legacy systems operated by the Marines, providing significant improvements in performance when compared with the legacy radar families in each of its modes. Software loads optimize the multi-mission capabilities of the radar to perform each mission. When all modes are fully implemented, an operator will be able to switch modes at the press of a button. The system has been designed to be light and compact for deployment, and for rapid emplacement by helicopter or vehicle. Its system architecture allows it to interface directly with multiple types of command and control systems on a plug-and-fight basis. Northrop Grumman is a leader in the development of Active Electronically Scanned Array Radar (AESA) systems and is also on contract to develop and test high-performance short- and medium-range radars for other Department of Defense ground and ship-based applications. The company’s family of ground radar systems also includes the Highly Adaptable Multi-Mission Radar AESA system. These radar systems take advantage of Northrop Grumman’s expertise in C4ISR. The company is a world leader in developing advanced, secure C4ISR systems that allow users to sense, share, collaborate, and act with greater speed and assurance.